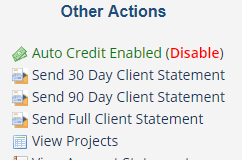 Auto Credit Advanced allows you to assign the automatic credit allocation on a "Per Client" base, Which means you can disable credit allocations for resellers, while leaving it enabled for other clients. With this module handling credit allocations has never been easier!!! 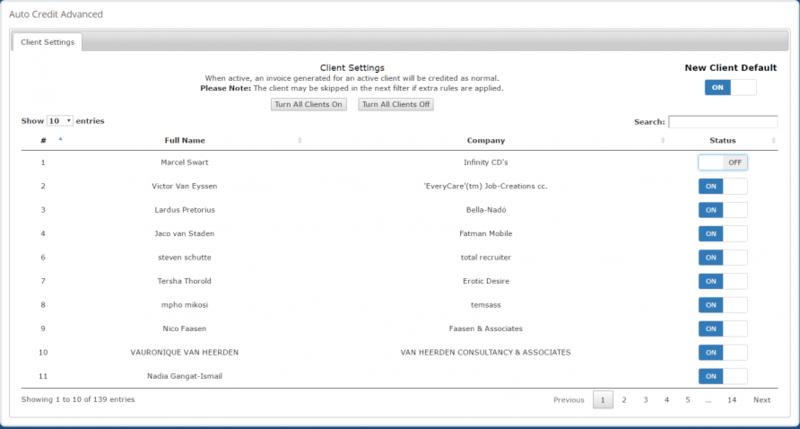 Domain's don't auto renew by accident if the client want's auto allocations off. How can I automate the allocations? How does the module allocate? It starts from the oldest invoice to the newest using up the credit till either the invoices are finished or the credit is. How is this different than the WHMCS default?